Ying Chen’s practice focuses on preparing and prosecuting patent applications and counseling clients on issues relating to patent infringement and validity, including non-liability opinions, freedom to operate and design-around studies, IP due diligence, and licensing negotiations. She also provides support for patent infringement litigation. Ying has represented numerous technology companies, both large and small, in matters relating to patent prosecution, counseling, opinions, and patent infringement litigation. Ying handles cases involving a broad range of technologies, including analog and digital circuits, semiconductor devices and processing, computer hardware and software, microprocessor architecture, liquid crystal displays, optical devices, photonic devices, telecommunications, consumer electronics, materials and chemicals, medical devices and mechanical devices. 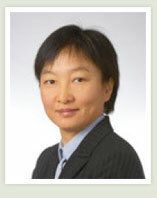 Ying has over fifteen years of legal experience in the IP field. Before co-founding Chen Yoshimura LLP, Ying was a partner at a leading global law firm. Prior to her legal career, Ying earned a Ph.D. degree in applied physics. Her doctoral research work involved the application of a variety of research techniques to the study of biological samples, such as x-ray crystallography, spectroscopy, lasers technology, optical and photoelectric devices, and computer simulation. Ying is fluent in Chinese.